International Security: Is It as Bad as It Seems? Certainly, security challenges appear to be impacting on the NATO countries faster, and in less tractable forms, than in recent decades when NATO was able to deal more or less with one major challenge at a time; be it Bosnia, Kosovo, Afghanistan or Libya. Recent events have given many people the impression that the world is sliding into disorder and in some places (such as the Middle East) even anarchy. Now the Alliance has to return to its core task of collective territorial defence in Eastern Europe, vis-à-vis a resurgent Russia, while being ready for more crisis management and defence capacity-building in the Middle East and North Africa to help the fragile states in these regions cope with the challenge of the Islamic State and other Jihadist movements. When challenges are multiple, gaining consensus among Allies on the priorities (such as the East versus the South) will not be easy. Moreover, the new challenges come at a time when NATO’s defence budgets have been in sharp decline while many other countries in the world have been rediscovering an appetite for military power and modernization. So is this the twilight of the West as many have predicted? Are the challenges from a return of geo-politics or the general breakdown of governance in the South so formidable as to overwhelm NATO’s capacity to cope? 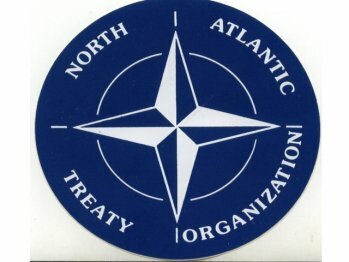 Is there a way through this tangled web of threats and instabilities that could return the Euro Atlantic region to some semblance of order and predictable inter-state relations in the years ahead, even if it is not the cooperative community of liberal democracies that we dreamed of 25 years ago, when the Berlin Wall came down? Jamie Shea is NATO Deputy Assistant Secretary General for Emerging Security Challenges. He has been working with NATO since 1980. Positions included Director of Policy Planning in the Private Office of the Secretary General, Deputy Assistant Secretary General for External Relations, Public Diplomacy Division, Director of Information and Press, Spokesman of NATO and Deputy Director of Information and Press, Deputy Head and Senior Planning Officer at the Policy Planning and Multilateral Affairs Section of the Political Directorate as well as Assistant to the Secretary General of NATO for Special Projects. Jamie is involved with several prominent academic institutions and acts amongst others as Professor of the Collège d’Europe, Bruges, Visiting Lecturer in the Practice of Diplomacy, University of Sussex, Associate Professor of International Relations at the American University, Washington DC, where he also holds the position of Director of the Brussels Overseas Study Programme, and lectures at the Brussels School of International Studies at the University of Kent. He also is a regular lecturer and conference speaker on NATO and European security affairs and on public diplomacy and political communication and lobbying. He holds a D.Phil. in Modern History from Oxford University (Lincoln College), 1981. Amongst his many associations and memberships, Jamie Shea is Member of the Advisory Board, Security and Defence Programmes at Chatham House, Member of the Policy Council at the World Economic Forum in Geneva and Founder and Member of the Board, Security and Defence Agenda Brussels. To register for this event please email research-events@exeter.ac.uk.